Blooming where you are planted. That is easier said than done. When I moved to Shreveport and got married after I graduated from my Master’s program, I got a job. I met some wonderful ladies, many of whom I still treasure a close relationship with many years later. It wasn’t hard to make friends because I went to work everyday and I had lots of adult conversation. The real test of blooming where I was planted came after I had a few kids. I was a new mom with a 10 month old and pregnant with baby number 2 and we lived in the country with very few houses anywhere near us. A precious lady we called Mama Kate lived next door to us and she took me under her wing. Her granddaughter in law and I had babies a few months apart and we became friends. It was very nice and I look back on those times with so much fondness. Still though, something was missing. After baby number 2, now referred to as Kayla Ann, came along, my feelings of wanting something more (not instead mind you because that is not how I roll. I don’t replace, I just add on) grew. We bought our first house in Shreveport in the middle of a great little neighborhood. I would push Ben and Kayla in the double stroller through that neighborhood several times a day. I was lonely and longed for adult interaction. I met a few ladies on the street and of course we ended up getting to know one another. Days became weeks and weeks turned into months, time passed as it tends to do and I had baby number 3. Aka Madame Toot aka Aubrey Dianne. So now I was the woman with 3 kids, 3 and under. I was tired. I was overwhelmed. I was still lonely. Now a few posts ago, I told ya’ll about my precious baby sitters and their mom. Those relationships are a product of me walking up and down our street, getting to know the neighbors. Their grandmother lived on that street and she encouraged them to come down and offer to babysit. For that, I will always be grateful. That small gesture changed my life. Well…after we had a good stride going and I felt like I was handling 3 babies…Madame Toot turned one and I had stopped nursing her and felt like I could leave her more. So Big Daddy and I went out to dinner and had a few drinks. Well…a few weeks later we found out that we were expecting baby number 4! Wow! My mind was blown. Say what? I was going to have 4 kids under 4?! Holy cow?! How would I do that? I wasn’t prepared for such a feat, as happy as I was with the news. But my sister Lisa would remind me, God does not called the equipped..he equips the called. And he did. So here comes baby number 4…my precious Lucas Mayeux. My little caboose. I was overjoyed. 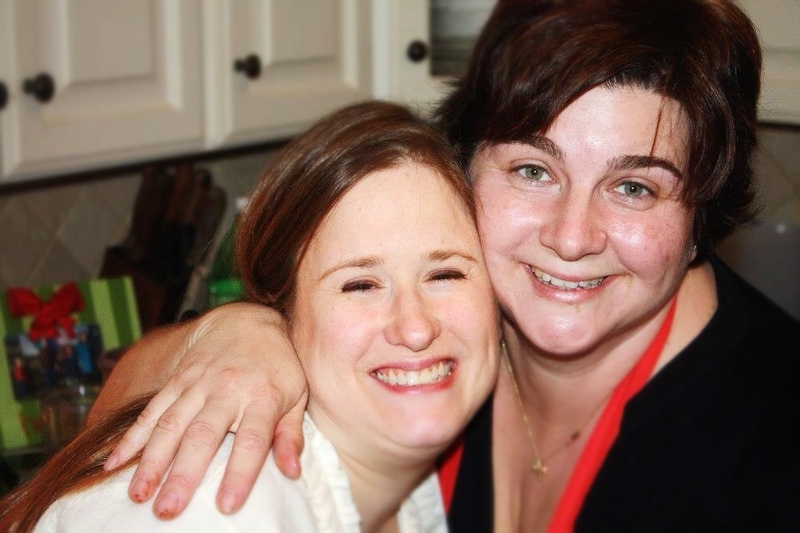 I had my sitters and their mom and a few other friends…but now I was the mom with 4 kids. 4 and under. I felt like a 2 headed circus freak everywhere I went. I was, to say the least, overwhelmed. My oldest started kindergarten at our wonderful gem of a neighborhood school and the girls were in MDO at a local church. One day, in early December, things started to change. I met a fellow circus freak named Alexis who I refer to as Lexie B…she had 4 kids too (she has 6 now ya’ll!) And I got to know other moms with several kids and we banded together like a pack of circus freaks and started to have girls’ nights. Collectively we had close to 30 kids. This bonding with fellow mommies of a bunch of kids did something for me. I felt my roots starting to get comfortable in the soil I was in. Maybe just maybe, the transplant shock was wearing off and my roots were growing. Again, time passed. Because of my friends, my awesome mommy friends who understood me and helped me see the beauty and humor in all of the chaos and liked me just as I was, I felt less isolated. 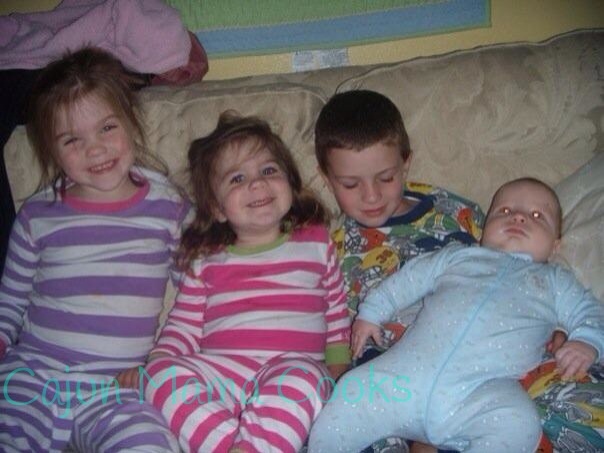 I began to find my footing as a mommy of 4. There was no shame…it was pretty dang great come to think of it. I was made for this life. It only got better from there. Sometimes when we can’t see ourselves in an accurate light and when we see ourselves through the eyes of our friends who love us and cherish us…we catch a glimpse of how they see us. It changes everything. We start to reach out…we start to feel worthy of those friendships and give back. That little flower that was weary and withered has blossomed into a lovely bloom…fitting in quite nicely in its own special way. Now, today, all 4 of my kids go to that wonderful neighborhood school. I am no longer the overwhelmed mom of one kindergartner and 3 little ones who has no time to join in and get involved. I am no longer isolated. In fact, some days I wish to be able to hide and be isolated. Then I remember how I hated feeling invisible and I smile. I have come full circle. It puts in perspective and I am perfectly content to be just where I am. The teachers, parents and staff at that school are family. You know on how on the Cheers theme song it says “sometimes you want to go where everybody knows your name…and there always glad you came?” That is how I feel when I am there. And many other places in this town that once never felt like it could be home. A place where I could hardly find my way around and felt so foreign. Where I stood out like a sore thumb. Somehow, some way, through some God given miracle…that has all changed. And when I see another mom looking like she may feel like a foreigner…I am always happy to learn her name and bring her in. Because I never want someone else to feel the way I used to if I can help it. 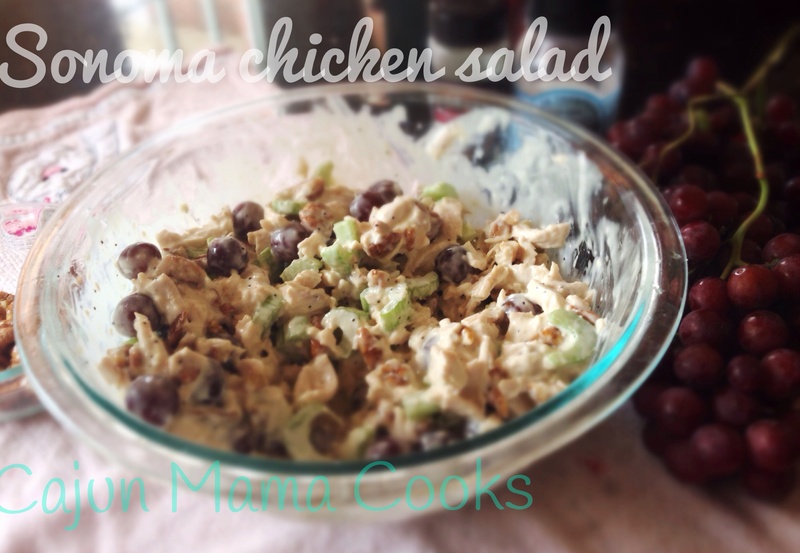 Now we come to the chicken salad…I was getting there all along. Ya’ll know I like to talk. Today as I was processing how I would give discuss this chicken salad in a way that you all would understand the significance, I was able to see how it all fit together. Hence the above story. So, in my son’s class, there was this precious little red headed girl. Sweet as can be and would always give me a big hug when she saw me. I had never met her mama…I had seen her around some but we had never met. Well last year that all changed. I met her. She was a precious as her little girl and I knew we were meant to be friends. Her family has a restaurant in Shreveport called Fairfield Grocery. I never knew she had a connection with it, but I LOVE that restaurant. I love their chicken salad. I owned their cookbook. This place is fantabulous ya’ll. If you are not from here, don’t live here and come to visit…you need to eat there. The blondies are to die for. The grown up grilled cheese is ah-mazing. The chicken and dumplings will make you want to cry they are so good. It is wonderful. The restaurant is so quaint and cozy and it has a very family like atmosphere. 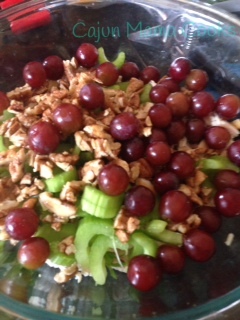 The other day, I decided I needed to make up a batch of Fairfield Grocery chicken salad. Big Daddy and 2 of my kiddos absolutely LOVE it. 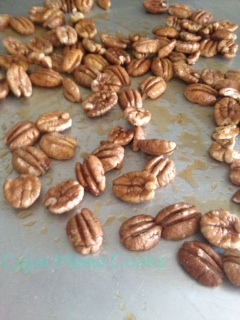 I wondered as I made it…could I blog this recipe? 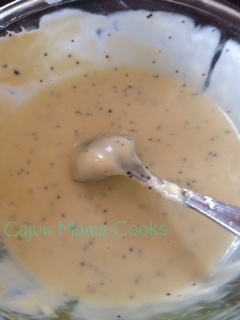 I needed permission as I would never just post a treasured recipe without permission. So I called my precious friend and asked. She gave me her blessing. So I am sharing it here today. The cookbook is awesome and you should order a copy if you love cookbooks full of delicious recipes. It also gives some back history on a wonderful Shreveport establishment. When you are in the area, you should definitely stop by. It is off of Youree Drive in the Shoppes at Bellmead. Here is a link to the Mr. Menu site which tells you a little about it and the menu http://mrmenu.biz/bossier-shreveport/menu/fairfield-grocery-market-cafe/. 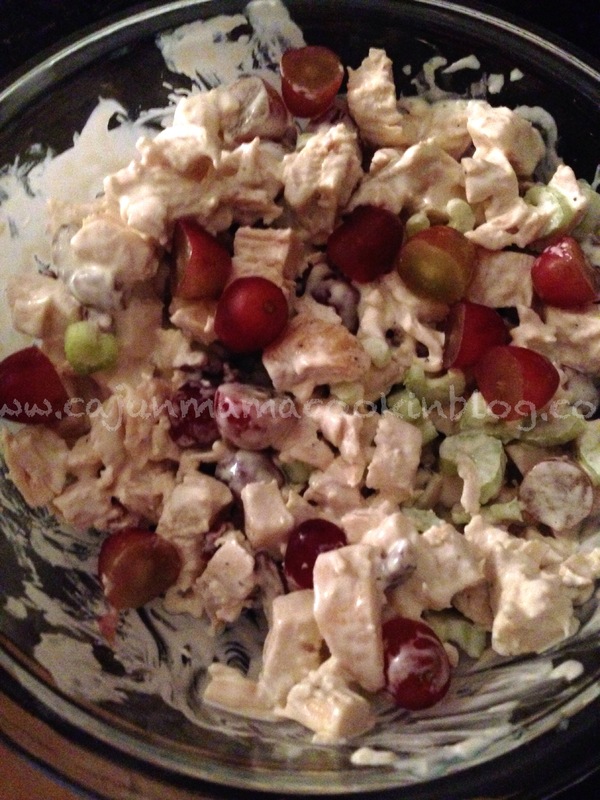 Anyway, with the holidays coming up, this chicken salad is great to have around. 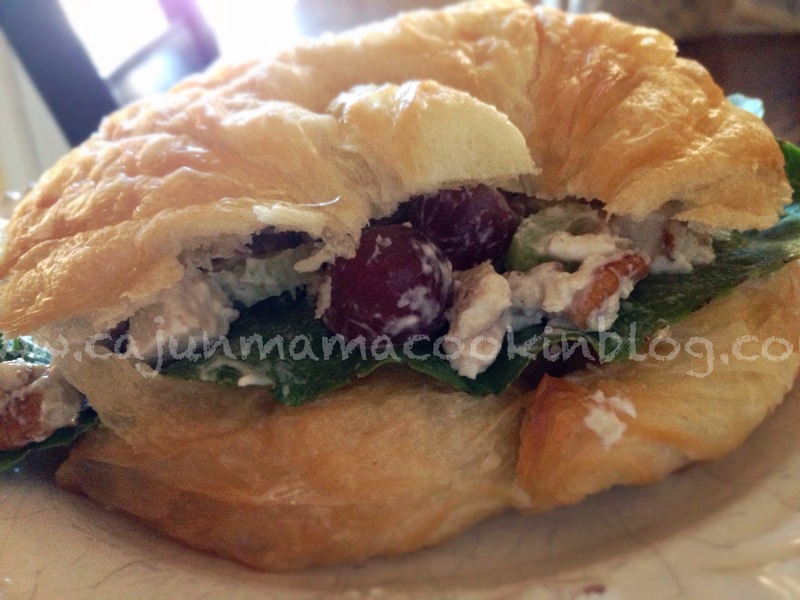 It makes a ton so it is really good to make if you will have a house full of hungry visitors. You can eat it as a sandwich, with crackers or as Aubs like to do it…with a spoon. It really is wonderful. It is amazing how so many wonderful things can transpire in just a few great years. Lifelong friends are made, kiddos grow up, life gets a lot busier but in many ways a tad easier, mommies find their footing (only to lose it again later…but let’s not get into that), and life moves right along. There is beauty in that. Friends become family and what once was unfamiliar becomes home. New recipes that once seemed daunting become family favorites you could make with your eyes closed. I am grateful for all of those things. And I am so glad to be able to share this recipe with all of you. 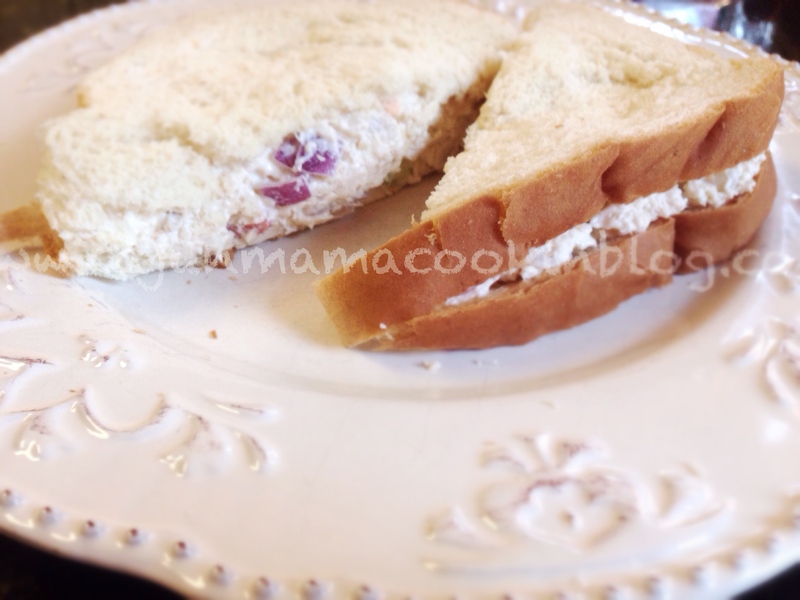 This picture does not do this chicken salad sandwich justice…me oh my. Cook and shred chicken. I boil mine until no longer pink and then remove from water. I then run them through the food processor. I think it gives it the same texture as Fairfield’s but you can shred with a fork. Whatever works for you. Dice the celery bell pepper, water chesnuts and purple onions. Add this to the chicken in a big bowl. Mix all ingredients with mayo until very moist. I just add half the quart of mayo and stir. I add more as necessary. This time I used about 3/4 of a quart jar of mayo. Season to taste. Stop salivating and fix yourself a sandwich. Make a few more and get ready for the ambush. Send a container of this to a good friend to make their day. When my friend Stacie had surgery, this is the only thing that she wanted to eat. I was really glad that this recipe makes such a big batch then. There is plenty to share. When you are trying to bloom where you are planted, feeding the flowers around delicious food is a GREAT place to start. Make this chicken salad and make good friends. Circle of life my friends. 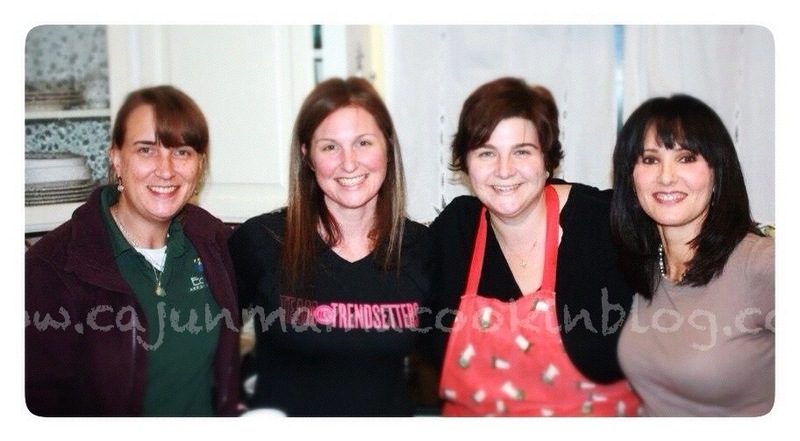 Some beautiful friends of mine…part of my village…we are a tribe of mommies…Good heavens I love these girls. Me and my fellow circus freak…my precious Lexie B! That girl made my blooming so much easier. I love her to pieces.